Larry Brooks of the New York Post reports the league has "given the NHLPA an ultimatum regarding the contested front-loaded contract of not only the Devils' Ilya Kovalchuk, but Vanocuver's Roberto Luongo and Chicago's Marian Hossa, as well..."
1. That the cap hit on future multi-year contracts will not count any seasons that end with the player over 40 years of age. The cap hit would be calculated on the average of the salary up through age 40 only. 2. 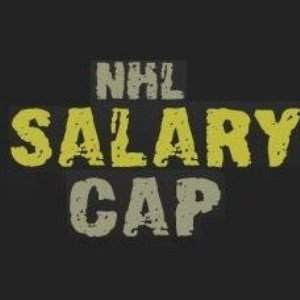 That the cap hit on future contracts longer than five years will be calculated under a formula granting additional weight to the five years with the highest salary. 1. It will reject the Kovalchuk contract. 2. It will move to immediately devoid the Luongo contract. 3. It will move to immediately open proceedings for a formal investigation into the Hossa contract. The NHL owns sweeping punitive powers against teams and players judged guilty of circumvention under Article 26 of the CBA. Regardless of what happens in this situation, closing the cap loopholes is a process that has been long overdue. The only thing that we disagree with in this whole drama is why did the league wait until the Devils pushed them to the brink before they took action? This action by the league is a necessity to rid the cap rules of further ambiguity, but the re-opening of investigations that supposedly had already been investigated and ratified (Luongo, Hossa, etc...) is bound to leave a bad taste behind. With this recent development, our sources tell us that the $1 billion / 1,000 year Sidney Crosby extension is now on hold! Why Is It Always Bettman's Fault?